"USA Today "bestselling author Ward Larsen's celebrated protagonist, assassin David Slaton, returns for another breathless adventure in "Assassin's Silence"Every so often, a great assassin novel comes along: Brad Meltzer's "The Fifth Assassin, " David Baldacci's "The Hit, " Daniel Silva's "The Kill Artist. " Now Ward Larsen brings us "Assassin's Silence, " featuring David Slaton, hero of Larsen's "Assassin's Game "and the award-winning "The Perfect Assassin. "When it comes to disappearing, David Slaton has few equals. Police in three countries have written off trying to find him. His old employer, Mossad, keeps no forwarding address. Even his wife and son are convinced he is dead. So when an assault team strikes, Slaton is taken by surprise. He kills one man and manages to escape. Half a world away, in the baleful heat of the Amazon, an obscure air cargo company purchases a derelict airliner. Teams of mechanics work feverishly to make the craft airworthy. On the first flight, the jet plunges toward the ocean. The CIA assesses the two spectacles: a practiced killer leaving a trail of bodies across Europe, and a large airplane disappearing without a trace. The two affairs are increasingly seen to be intertwined. Langley realizes the killer is a man long thought to be dead, and the lost airliner has been highly modified into a tool of unimaginable terror. When their worst fears are realized, Langley must trust the one man who can save them: David Slaton, the perfect assassin. 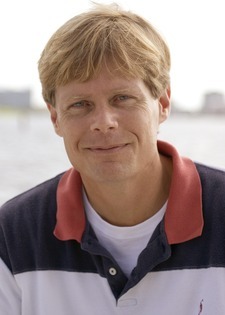 Ward Larsen is a USA Today bestselling author, and four-time winner of the Florida Book Award. His first thriller, The Perfect Assassin, is currently being adapted into a major motion picture by Amber Entertainment and SND/M6 Films. He has also been nominated for the Macavity Award. A former U.S. Air Force fighter pilot, Larsen flew twenty-two missions in Operation Desert Storm. He has served as a federal law enforcement officer, airline captain, and is a trained aircraft accident investigator. Goodreads reviews for Assassin's silence.